If you ever wanted to conquer a mountain while calmly clinking glasses of chilled Dom Perignon, the 2019 Rolls-Royce Cullinan is your tank of choice. There are more people owning Rolls-Royces than ever, and last year the marque made history with 4,107 cars delivered to customers in over 50 countries around the world — its highest record in its entire 115-year history. 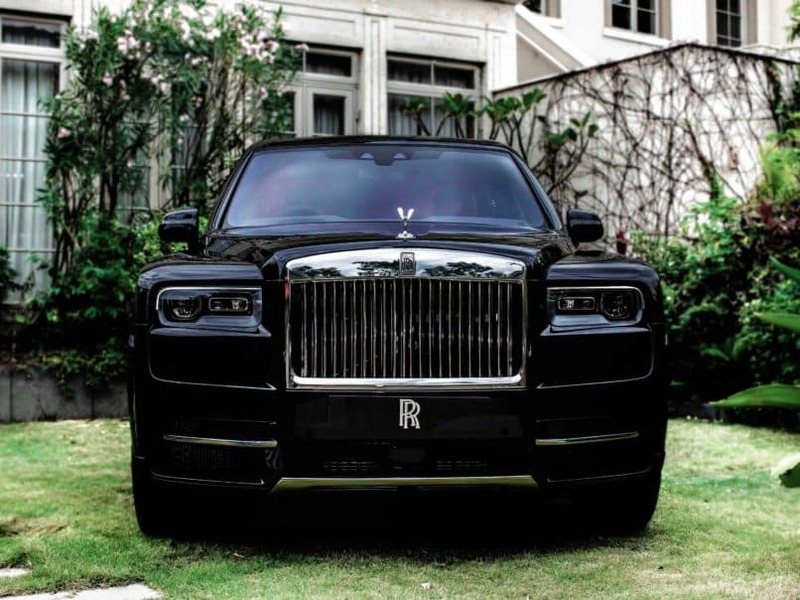 One of the most highly anticipated automobile releases announced last year was none other than the Cullinan, which aimed to redefine the already-booming SUV market in design and capabilities, not to mention its uber-luxe trimmings. With the success of the Cullinan well on its tracks — advance orders are running well into the second half of 2019, according to the auto maker — we recently got a first-hand taste of how it truly rides. Despite the SUV label, the Cullinan still champions the classic silhouette that instantly gives it the powerful air of “Rolls-Royce pedigree.” It’s made for the wealthy who love adventure but want it in air-conditioned bliss. And isn’t that what we all want in our lives these days? We want the African safari, but in a luxury tented camp that lets you look at the wildebeests from a safe distance; the Arabian Nights desert experience that has you lounging on plush carpeted floors; the panoramic view of the Northern Lights from within a heated glass igloo. The Cullinan was designed to be a high-sided vehicle that can tackle all the above in style and comfort. You’ll be able to charge through mud and sand but never get your trouser hem dirty (the high ride height and low-wrapping coach doors make sure of that). Even just by looking at it, the Cullinan is an absolute solid tank of a car, built to exude an elegant toughness in perfect craftsmanship. Touting the marque’s new Architecture of Luxury aluminium spaceframe, the Cullinan is higher in height and shorter in length than other Rolls-Royce models — it gives it a sort of behemoth presence when you walk up to it — and for my above average 5’6” Asian frame it’s still a bit of a climb, even though the car is able to lower itself 40mm for more effortless entry. The architecture also is functionally lighter and stronger to allow for a more sophisticated air suspension system. This translates on the road as well as in off-road conditions to cushion the bumps and blows of difficult terrain (now handled at a press of a button labeled “Everywhere”). This continuous cushioning for the Rolls’ famous Magic Carpet Ride is done with an intuitive shock absorbing mechanism, which adjusts depending on acceleration, steering inputs and camera information. When off-road, the car is further stabilised by air compression to push down any wheel to make sure the traction and torque provided to each wheel is consistent. The reworked 6.75-litre twin-turbo V12 engine delivers 850Nm of torque — slightly less than the latest Phantom, but with a lowered number of revolutions at 1,600rpm. I imagine it like a seasoned trailrunner unfazed by the Hong Kong trail, jogging along with powerful strides and a balanced heartbeat the entire time. It’s nimble yet grounded, as indicated by its all-new double-wishbone front axle and 5-link rear axle with four-wheel steering. 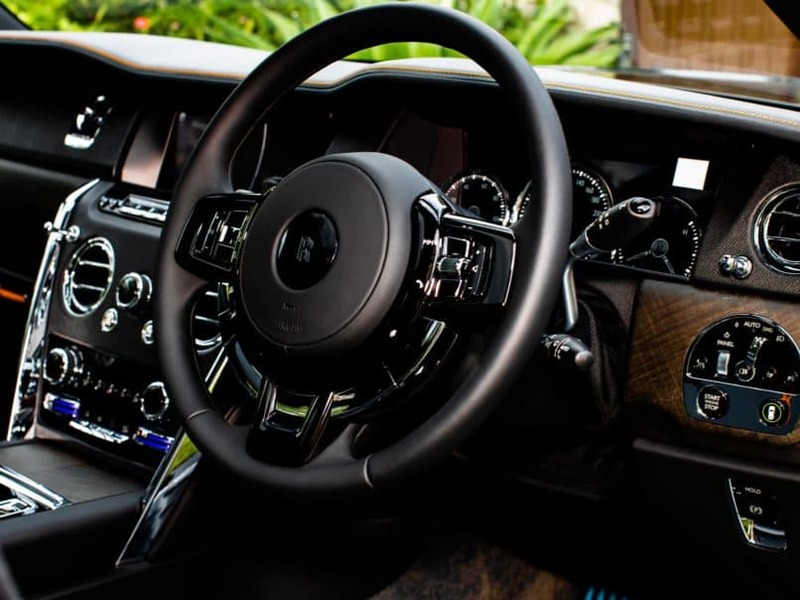 Climbing in the back (as one does for a Rolls), it’s an absolute throne of comfort, with perfect leather stitching and wood finishes, with just the right amount of shimmering steel touchpoints to exude the iconic class associated with a Rolls-Royce. 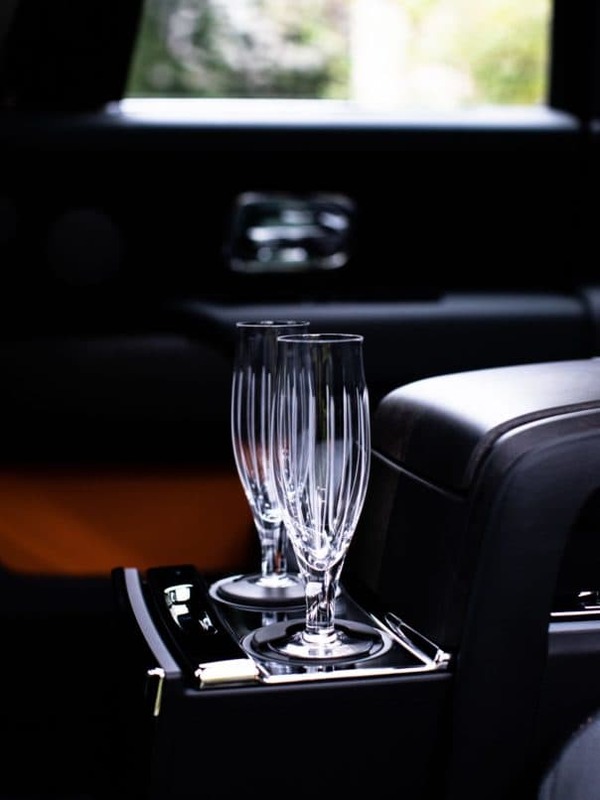 Everything can be achieved at the press of a button: the drapes, opening and closing the coach doors, popping open the entertainment suite (where you get to catch up with some TV or commandeer the music choice) and fold out table to rest the caviar to go with your champagne. 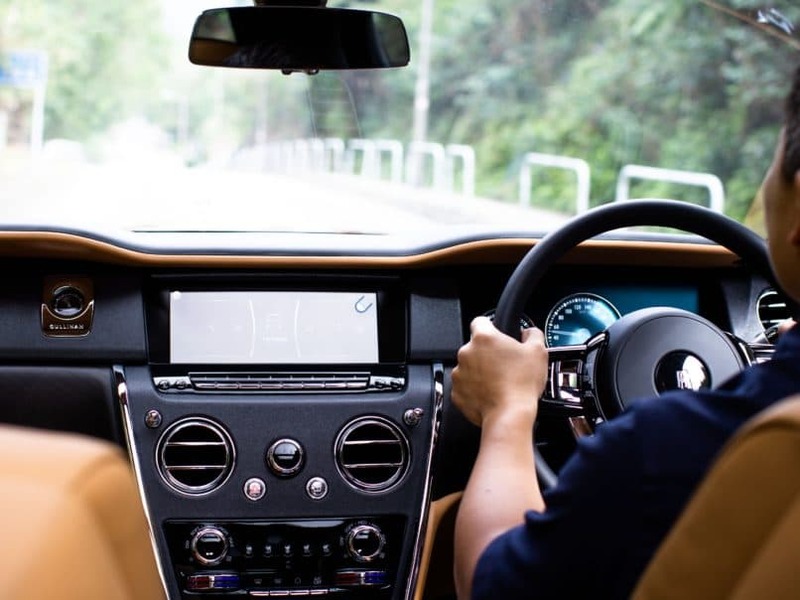 Winding up and down through the bumpy and curved backroads of Sai Kung, it’s apparent to me much of the Cullinan’s power is lost on the majority of undemanding Hong Kong roads. Turning up and down on a gentle hill near Pak Tam Chung, we glide effortlessly, high above the gravel and tarmac. I get dizzy for a minute while obsessively taking snaps for IG and stop, observing the lush tree-lined paths instead. The rear passenger seats sit higher than the front for the purposely designed “grandstand seating effect.” While I can attest to the cushioned Magic Carpet Ride, I could still feel the muffled grit of the dented and holey New Territories road stretching beneath us — but perhaps that’s a little too “Princess and the Pea” of me to say so. Any small complaint of mine is assuaged by the massage setting — with three levels of pressure available in all four seats (yes, even the driver gets a go). Whatever stress I held in my back was effortlessly rolled away. All automatic, the Cullinan makes for ease of driving but perhaps is not for the sport lovers — those who want the rough and tumble, tactile driving experience. The spacious rear cabin is designed to be large and versatile enough for activities of a “Rolls-Royce pedigree” such as snowboarding, stag hunting or fly fishing — though sadly you won’t be getting that bang for your buck in Hong Kong. It should prove quite practical for when you want to lug your new Zao Wou-ki back home from the gallery with the rear seats folded down, however — or simply to get noticed in the PP parking lot. 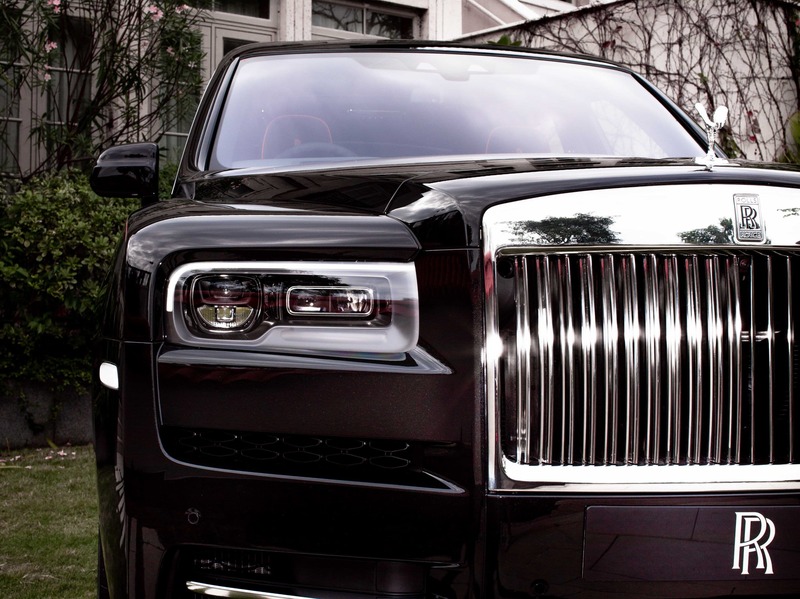 But the point of a Cullinan is that you can do whatever your mind is set to do, in sheer comfort. And if that isn’t luxury, I don’t know what is. The Cullinan makes a romantic drive to The Peak, where you admire the city with your beau while leaning on the hood of your car, sound positively plebeian. Instead, you’re toasting with Dom or two tumblers of rare Macallan, sitting on the purpose-built Viewing Suite with exactly two leather-clad seats in the tailgate. Because if you get the Cullinan, almost anything is at reach and at ease, even adventure — and it’s a wonderful thing to have.